If you are thinking of getting your teen their own car, look for one with high safety ratings. Avoid small cars and trucks. Give them as much supervised driving practice as possible. Parents can make a firm schedule with their teen and stick to it. Limit the amount of night driving. The risk of a fatal crash is higher at night than it is during the day. It is better to avoid night driving if possible. Ask the teenager to return the car home by 9 p.m. or 10 p.m at the latest. A 2006 poll by the National Sleep Foundation reported that 45% of adolescents said they did not get sufficient sleep on school nights. Sleep deprivation in teenage drivers contributes to lack of attention, and greater risk taking. 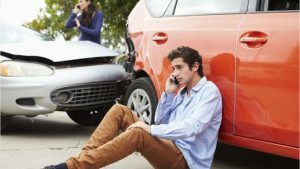 If you, or a loved one has been injured in a car accident it is important to speak with an experienced personal injury lawyer to determine if you have a legitimate claim. John Mickelson Law Corporation can help you acquire financial assistance and medical treatment. Our lawyers have over 20 years of personal injury experience. Call us at (604)-684-0040 for a free consultation at our Vancouver, Surrey, or Abbotsford offices.